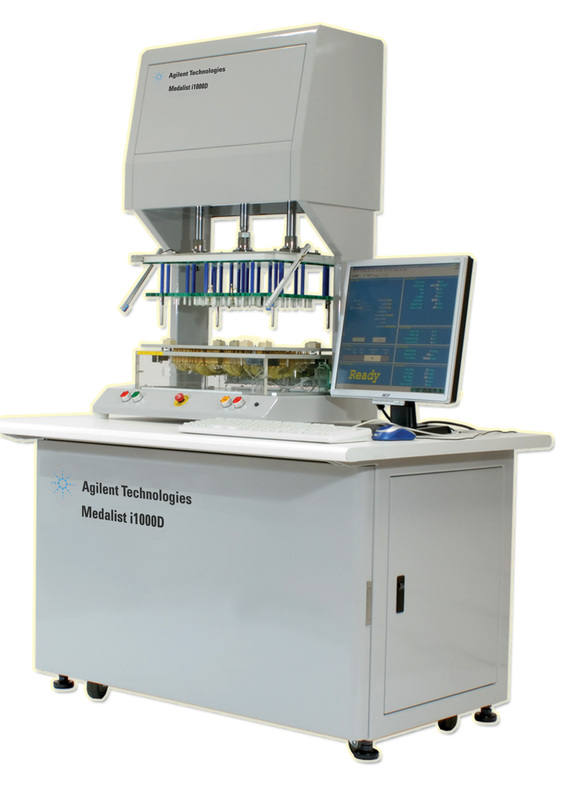 Agilent Technologies Inc. (NYSE: A) recently announced a series of new capabilities on its low-cost U9401B model Medalist i1000D in-circuit test system for boosting productivity in the high-volume electronics manufacturing environment. External applications integration: This allows manufacturers to easily integrate new external applications onto the i1000D system. For example, manufacturers running tests for LEDs can now use the i1000D for current measurement and analysis of test results. Other application areas include integrity tests for automotive electronics boards and various consumer electronics products. Customizable post-test actions: The i1000D can now be easily programmed to provide customized follow-up actions based on the pass/fail test results of the printed circuit board assemblies being tested. For example, automated prompts can be linked from the i1000D to external devices to separate defective boards from good ones. Audio and visual signals can also be incorporated to aid production operators with the necessary follow-up protocols. Automatic board handler: Responding to various manufacturers' requests for inline board handling, the i1000D now offers an inline use model to boost throughput by 20 percent, and can be easily integrated into surface mount technology lines. "We have been working with customers across various electronics industries to broaden the capabilities of the i1000D, and it is interesting to note the system has proven its own versatility," said NK Chari, marketing director for Agilent's Measurement Systems Division. "Customers can expect to see new applications enabled on the i1000D. This is a proven way of helping our customers achieve low cost of test even as they enjoy higher throughput and wider test coverage," he added. The i1000D ICT system is a versatile and affordable in-circuit test platform with full digital test capabilities to bridge the gap between typical manufacturing defect analyzers and high-performance in-circuit test solutions such as the industry-standard Agilent Medalist i3070 ICT. For i1000D images, please visit www.agilent.com/find/i1000D_images.